The Harvest Fair is this weekend. Sunday September 27th from 11am to 5pm at the Johnson Farm. For more info, follow this link. The Harvest Fair is a terrific way to end September, one of the best months in the PNW, in my humble opinion. Also a great way to bid farewell to THE best summer I have ever experienced on the island. As a gardener, it was bountiful. The fruit trees are overflowing all over the island. I know the cider press will be working overtime this Sunday at the Fair. See you there! 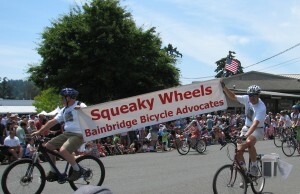 Wondering about the traditional happenings on Bainbridge Island throughout the year. Here is a list to make sure you don’t miss any of the biggies! Polar Bear Plunge – at exactly noonish on January 1st at Lylte Beach near Fort Ward Park – bring your beach towel and your courage! Video from a sunny New Year’s Day in 2011. Mochi Tsuski Festival atWoodward Middle School. Grand Old Fourth – parade & street fair in Winslow – sponsored by the Chamber of Commerce – a can’t miss on the island! 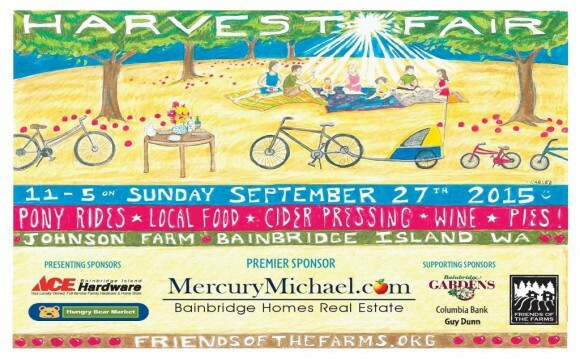 Harvest Fair – music, public cider press, chili feed, farm animals – sponsored by Friends of the Farms – a great way to end one of the most beautiful months in the PNW. One of my favorite events! Bainbridge Island Turkey Trot – Thanksgiving Day run at Ballepoint Park – a benefit for Helpline house!